Mindinventory provides variety of web and mobile app development services and solutions in PHP, HTML 5, Mobile Applications (iPhone/iPad, Android) and Open Source CMS development and customization services. 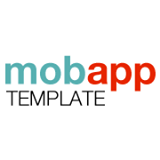 Experience the most successful mobile app template services offered by MobAppTemplate.com Our well-designed and interactive mobile app templates facilitates our clients to deliever better user experience. We also provide customize mobile app template service in which we allow our clients to choose any template and we will transform it into an exclusive piece that can furnish to the requirements of your business.